Caru Dog Food is owned and manufactured by a small family-owned company based in Florida. The company focuses on their wet food lines using carefully selected human grade ingredients. All their foods use USDA inspected proteins and reliably sourced vegetables. Their advantage is that they create the food in small batches so every food you feed your pup looks and tastes like a homemade meal you would make at your own house. All the foods get made in the USA, and they package their ingredients using green materials. Something we immediately notice about Caru is the variety of foods and products in their line. In addition to their main offering of wet foods they also have bone broths and treats that follow the same guidelines. In this article, we’re here to help you decide if switching your dog to Caru is the right choice. Caru pet foods started like a lot of other pet food companies; it started with a dog owner and their canine friend. Pamela and Adrian Pettyan are Canadian medical professionals who ran a local primary care health center. Their family dog Karu was dealing with constant ear infections and their veterinarian suggested switching their dog to a homemade diet consisting of natural, pure, and nutritious foods. Once they switched their pup, they immediately noticed that their dog was more playful and energetic. With the family being from a healthcare background they couldn’t understand why more pet food companies were not capitalizing on this type of opportunity. They immediately realized what they had to do. They collaborated with pet nutritionists to create a complete line of nutritious meals and treats that were based on a healthy human diet. What Types of Dog Food Does Caru Offer? Caru calls their foods, “stews” and these are moist foods made in small batches that are all formulated without artificial preservatives, by-products, flavors, and colors. The ultimate goal of this pet food company is to create food that closely mimics what you could make for your dog in your home kitchen. They offer grain-free, gluten-free, and wheat-free options. In addition to their traditional moist food offerings, they also have bone broth and something they call daily dish stews. Moist foods are often used as treats on special occasions so a lot of pet owners don’t see them as something they would want to give their dog daily. Caru believes that they created a moist food that you can feed your dog every day. Their daily dish foods contain no GMO’s, and they are affordable for families on a budget. Based on our research there are no current or previous recalls of Caru pet foods. In this section, we’re taking a more in-depth look at two foods from the Caru pet food line. We want to break down the ingredients and nutrition in each of the lines to give you a more thorough look into what other customers and we think about Caru’s dog foods. Hopefully, after reading this section, you’ll be able to decide for your pup. This chicken stew is slow cooked at low temperatures to help preserve the flavor and nutritional value of the ingredients. The food contains real chicken, vegetables, and fruit with no grains, gluten, GMO’s, or fillers. Caru prepares all their foods in small batches in their family-owned facilities to closely mimic the taste and aroma of a home-cooked meal. We’re impressed by these ingredients because the food does indeed resemble something you could eat. They are all human-grade ingredients combined into a delicious and nutritious moist food for your pup. We included the first ten ingredients because we wanted to make our way even further down the line to show you that the elements do not get worse as you get down towards the middle of the list. With a high-quality list of ingredients like this, you would imagine the cost of the food would be much higher. This food comes in a pack of twelve so if you serve your pup one of these per day the price would be much lower than a dry kibble containing the same ingredients. The main difference between the daily dish and the traditional stews is that the daily dishes contain more gravy, less protein, and a lower price. These stews have more nutrients packed into each bite, so they are more intended as a treat instead of a daily serving. Caru recommends using this food alongside a regular diet of health dry kibble or other raw food. This food is also grain-free and, as you can see, they do not make any sacrifices in the ingredients here. The primary difference is whole meat as the first ingredient instead of broth. 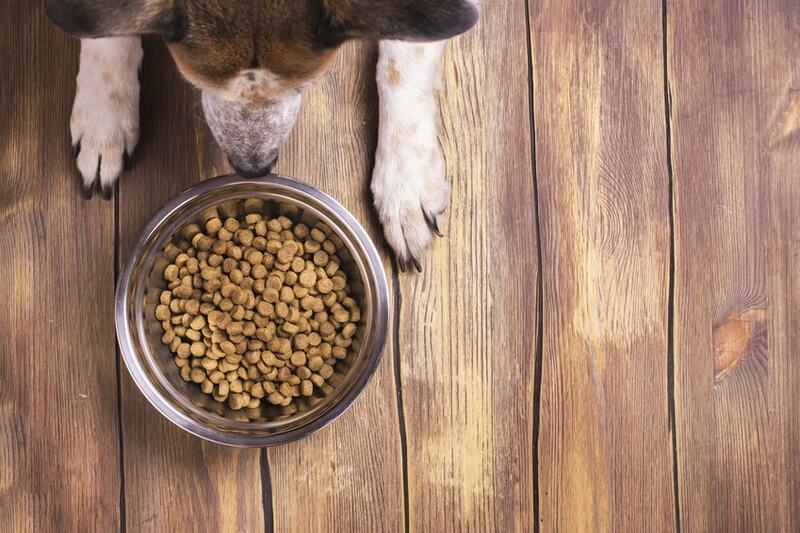 The cost of this food is a little bit higher than the daily dish but if you only give your dog this food as a treat every few days than the cost would equal out. This is a great way to reward your pups for great behavior without worrying about what you’re feeding them. We believe that the only way you can decide if the dog food is right for you and your pup is to try it out for yourself. The next best way to make that decision is to read what other customers have said after they tried it. Many of the positive reviews for this food say that their dogs love the food and they genuinely look forward to feeding it to their pup because they know they are giving them some of the best food money can buy. Many critical reviews say the exact opposite that their pups will not eat the food. We believe this is because their dogs did not get adequately weaned off their other food. Changing your dog over to a primarily wet food diet requires a slow change throughout a few months. Here are honest reviews from real customers. My dog will not eat it. If you’re already in the habit of feeding your pup wet food but you’re concerned about the nutritional value of the food than switching the Caru is an excellent choice for you. This food is also useful for pet parents who want to add wet food to their dog’s diet, but they want something that is all natural. Caru is paving the way for other well-rounded and nutritious moist foods to enter the market.